An entertainer's dream home with breathtaking views from every floor! Home features a beautiful updated kitchen and living room which opens onto a deck for the ultimate indoor-outdoor experience with incredible views. The private master suite located on the bottom floor has the perfect combination of explosive city views and privacy which flows seamlessly to the master closet and bath. Other features in the master include a modern fireplace and movie screen which retracts into the ceiling. Built in sound system, Lutron lighting, temperature control and security system controllable through the touch of your phone. 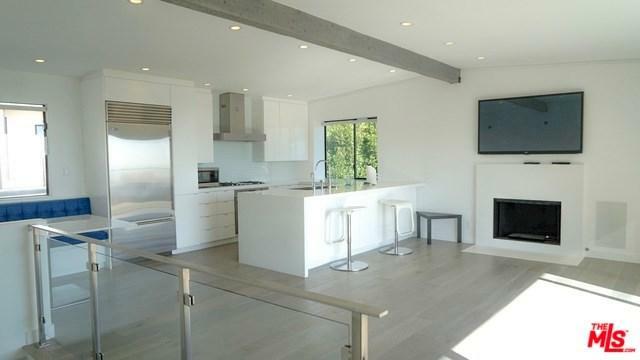 This must see home is only minutes from Sunset Boulevard's hottest spots! Sold by Alex Cabrera of Engel & Volkers Beverly Hills.